This statistic shows the respective market shares of the leading tablet brands in the United Kingdom (UK). In 2013, 56 percent of UK tablet owners used an Apple iPad. Thus, the iPad brand is the most popular for tablets. During the survey, this question was posed as follows: "What brand of tablet computer is it?" 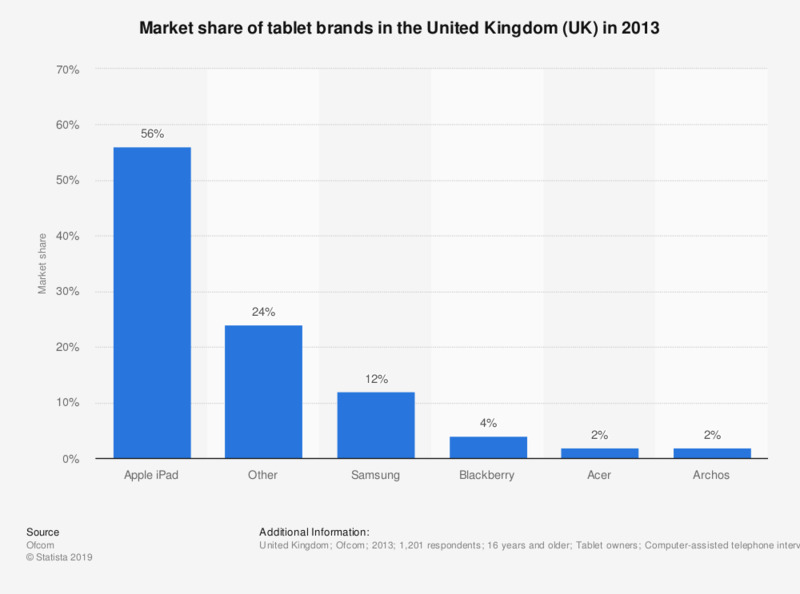 Statistics on "Apple in the UK"
Who is the manufacturer of the tablets your company is planning on buying?